How do I find the right courses? You can check out your course options before, during, or after signup. Your Table Mesa dashboard allows you to search for courses based on your profession or specialty by state. Visit mytablemesa.com to get started by selecting your profession and state from the dropdown menus (your state will autofill as the state you are currently located in). If you want information for a different state, you will need to manually change it. 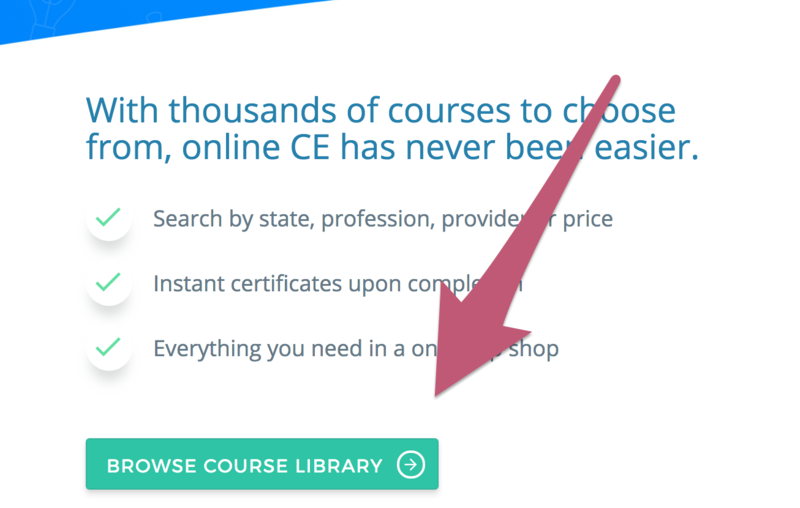 If you would like to view all available courses, scroll down the mytablemesa.com page until you find the "Browse Course Library" button as shown below. 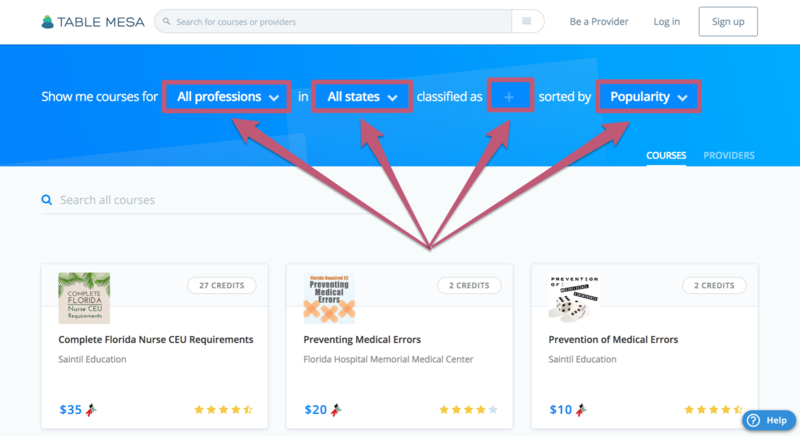 In the center of the page, you can view courses specific to your profession, state and classification. Visit this page so you can conveniently sort them based on popularity, most recent, alphabetical order, pricing, and rating.